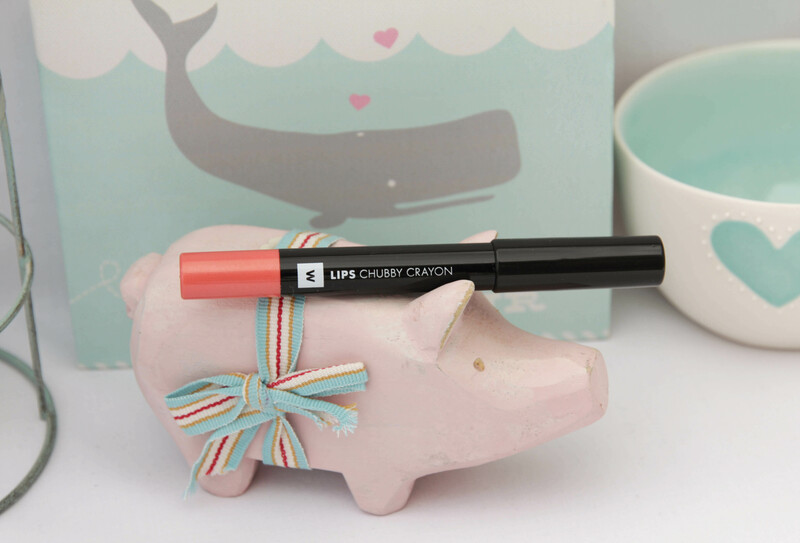 Today I’ll be doing a review on one of the Woolworths Chubby Crayon Lip Pencils in the shade Coral (as mentioned before, I am loving peach and coral shades this Spring / Summer). I was so excited when I saw these at Woolworths because I thought they might be a good dupe for the Clinique Chubby Sticks. These are not as chubby as the Clinique ones and you have to use an actual sharpener to sharpen the pencils (the Clinique ones are twist up sticks) but when I swatched the Coral shade in-store, it did remind me of a Clinique Chubby Stick in that it gives a glossy finish. What Woolworths says: This pencil is designed to give maximum definition and fullness to your lips. Available in Coral, Hot Pink, Red & Sheer Pink. 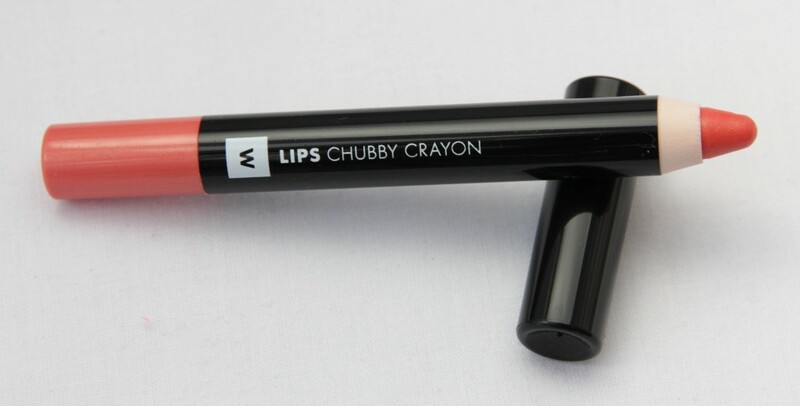 My review: When I first saw these chubby lip pencils I thought: Wow, at less than half the price this looks like a winner! I popped it into my shopping basket and paid the R 89,95 with a smile on my face. The next day I decided to try it out and as I applied it to my lips, I was happy with the pigmentation. That’s about it… I did not like the feeling of it on the lips at all, as it feels extremely sticky. Way stickier than MAC Lipglass glosses – and that’s saying a lot. Once you’ve applied it to the lips and rub your lips together, it feels like you have covered your lips in honey (and not in a good way). I was SO disappointed, because it gives a gorgeous coral colour to the lips and almost looks like you’re wearing a gloss. But the stickiness is just too much for me, unfortunately. The pro: The colour pay-off of this pencil is great and it gives the lips a pretty sheen. It is also a bit cheaper than the Revlon Kissable Balm Stains (and doesn’t stain the lips), and less than half the price of the Clinique Chubby Sticks. The con: It is unbearably sticky on the lips. I’m tempted to do a tissue test to see just how long a tissue will hang off my lips once I’ve applied this pencil – I’m willing to bet R 100 it stays there for at least a couple of hours. It is a bit less sticky if you apply a lip balm underneath but then the pencil doesn’t transfer as much colour to the lips. The price: R 89,95 from Woolworths (in-store or online). I don’t mind the MAC Lipglass glosses and I know some people find them a bit too sticky on the lips. If you don’t mind feeling like you’re giving your top- and bottom lip a workout every time you open your mouth, then get this pencil. Otherwise, rather save up for a Clinique Chubby Stick or place an online order for a NYX Jumbo Lip Pencil (I have one in the shade Pecan and it’s so buttery). P.S. When is having honey all over your lips ever a bad thing? Juuust joking. ha, ha. Hahaha! And then having to explain to people that it’s a test for your beauty blog! Pity it didn’t work out as well as you had hoped. Do you have a web address for NYX? It really is a pity, because the colour of this pencil is gorgeous! I order all my NYX things off http://www.cherryculture.com (their shipping charges aren’t bad, they deliver within 2 weeks, and the duties / taxes on their parcels aren’t bad either). The South African NYX doesn’t sell nearly enough NYX products, there are so many awesome products out there and yet they stick to selling the old boring stuff! Oh well, you will only know after you have tried it! One good thing, the colour looks lovely! No thank you – I will rather not try this out. I did see them when I was at Woolworths a while ago but didnt buy it. Thank you for the honest review, Luzanne. The colour looks like it could be great for my complexion but I dont like sticky things.